Organics are all anyone can talk about these days, which isn’t a bad thing if you understand what they are, which I will explain in a moment. 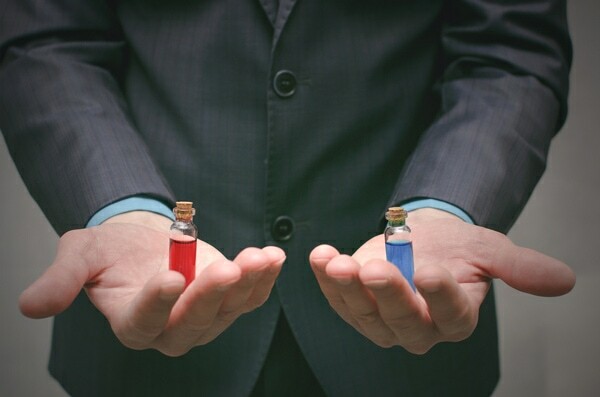 Given a choice of the two when it comes to foods, which do you suppose you would choose? You may be a devoted fan of natural ingredients or this may be new territory for you. Either way, it’s always best to start at the beginning. ​How Does This Apply To Essential Oils? ​But Are They All Natural? ​Why Should You Use All Natural? In the simplest of terms, organic means to be derived from living matter. When it comes to food, this definition goes a bit further. When you go to the grocery store or hit up your local farmer’s market for the provincial harvest, you should see plenty of signs proclaiming their product is all natural. When it comes to something like an apple, which comes into season in the fall where I live, one might think that it’s natural because it’s an apple; it is made from living matter. This is true, but when the farmer uses pesticides to keep the insects away from their crop- this practice adds chemicals, or if a hen farmer injects their chickens with a growth hormone, then this plant or animal, made from living matter, becomes inorganic, as far as food standards go. To understand how the term applies to essential oils, we first need to know how they are created. There are two methods of extracting essences from their host flowers, fruits, bark, and stems- cold pressing and steam distillation. Cold pressing is used to collect citrus oils like lime, lemon, and sweet orange. The rinds of the fruit are sent down a metal funnel that pricks and presses the oils from their pores. The essential oils are then collected at the bottom. ​Steam distillation is the process used to extract every other essential oil available. Water is placed in a pressure cooker with a rack at the top where the host plant is placed. From there they put the cover on and seal it tightly. Once the steam moves through the host plant, it goes through a tube connected to the lid where it is cooled back to liquid form and collected as a floral water-like substance and the volatile compounds of the plant known to us as essential oils. ​This a lengthy process, which explains why it is somewhat costly to purchase pure essential oils. There is a good deal among producers who claim that their product is pure when it is not. 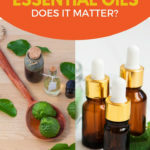 So, if essential oils are made from plants and other living organisms like fruit rinds, flowers, and leaves, then wouldn’t all essential oils be all natural? Not necessarily. All of the flowers, fruits, stems, leaves, and any other part of the plant that is used during the extraction has to be grown before it is used. If there are any pesticides or chemicals used in the planting or harvesting processes, then is the oil compromised? You might think that it would be, but there are quite a few reasons why it might not be. ​Most plants used to create essential oils like lavender, citronella, and chamomile, are natural pest repellents and do not require additional pesticides. ​Steam distillation uses extreme heat, which is a difficult environment for pesticides to survive in. 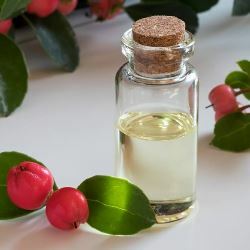 So, in short, there is little chance that allows any pesticides to survive if they were used in the first place which leaves nothing floating around your essential oils. But this only goes for the essences that were extracted through steam distillation. ​Yet, what about cold pressing? Not only are citrus fruits more likely to obtain pesticides since these types of fruits are not naturally pest resistant, but the oils of these plants are also not obtained through a heat process. When the rinds are cold pressed, the oils drip down them and out the other end. They can pick up any pesticides lingering on the peel and end up in your essential oils. When it comes to the products we put into our bodies, we all get serious, but it is important to say that this should also be a concern when we breathe in certain scents or rub them on our skin. 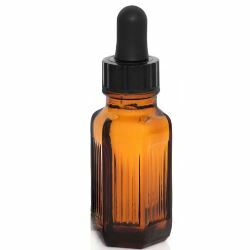 There are three ways in which you can use essential oils, the least used way is through consumption or ingestion. Still, when we breathe in vapor, it goes into our lungs. When we massage oils into our skin, it goes into our body . So wouldn’t it make sense to avoid all chemicals where you can? When we are choosing products that will eventually make their way into our bodies, to me, I want to avoid pesticides, additional hormones, and any chemicals that might be lurking about. There are so many toxins and hazardous fumes floating in our air that are out of our control. If you live in an urban area like I do, all you need to do is stand on your local street corner and breath in the fumes of the passing cars. If you have the option, natural selections are always a better choice when it comes to benefits and safety from unwanted toxins. If you use extracts and would like to give us your opinion on this subject, feel free to leave a comment below. What is the difference between a cold pressed ORGANIC OIL and an essential ORGANIC OIL apart from the distillation process? Surely some of the benefits of the essential oil may get lost in the heating process of the plant/flower? And which of the two gives a better health/skin benefit. Are essential oils more potent and therefore can one use less of each? Are the cost of each oil, cold pressed and essential comparable? What I really love about lavender essential oils is that they are natural pest repellents. Mom would love to have these sweet-smelling, multipurpose oils steam, distilled, and infused around the home to drive away pests and keep the Sacramento apartment really fragrant. I’d make sure to surprise Mom with a set of lavender essential oils when I go shopping at the local organic food store for her home and ours.